David Sancious just wrapped up a year that would have been enviable to even the biggest names in the music world. As a member of Bruce Springsteen’s E Street Band, David not only received the “Award for Musical Excellence,” but he was inducted into the Rock & Roll Hall of Fame. 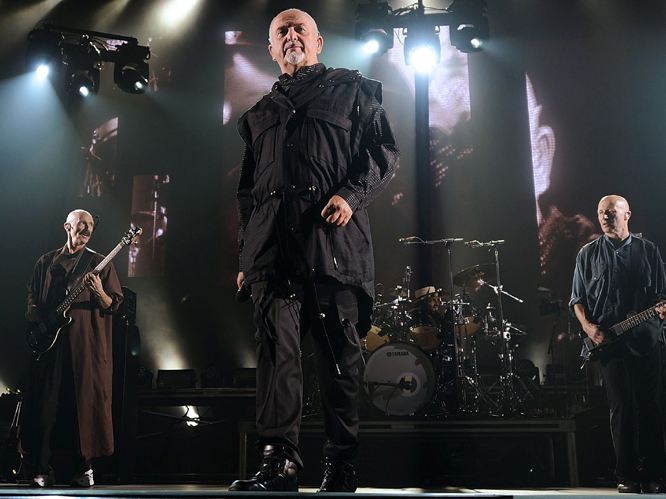 Peter Gabriel was inducted in 2014, as well, and David joined him on stage, too. Last year, Sancious also spent a good portion of his time traveling the world with Sting, Paul Simon, and Peter Gabriel. He came home for the holidays, had a brief break, and then hopped on a plane and went to New Zealand, Australia, and Europe with Sting and Paul Simon for the next leg of their “On Stage Together” tour, which started yesterday (Friday, January 30). AXS talked with David shortly before he left for New Zealand. Hoping to hear how the musical juggernaut had enjoyed his brief time off, AXS was saddened to learn how the artist had actually spent his precious downtime. A life on the road isn’t something that everyone can handle. The constant travel, irregular sleep, and not always the best food options are all very hard on the body. It takes a special person to thrive under these often adverse conditions. How does David manage? When David said his life, he meant his entire life. The artist knew by age seven that music was what he wanted to do. “There are only two other things that I’ve ever lost myself in like I can lose myself in music — where hours go by and I don’t even realize it because I’m so enthralled. The first is painting. Abstract painting because I’m not a skilled or schooled painter, at all. Just doing oil on a canvas for my own pleasure, that same kind of world comes up where I just totally fall away. That time-based person who has concerns and all of that, it just melts away and I’m left with only the sensation of what I’m doing. Sancious went on to state that doing music is at once soothing and fascinating. He compared it to being on a river in that creativity has a pull and a force all it’s own, and you sort of just ride along, excited to see where it’s going to take you. Besides his non-stop touring schedule, this year David promised AXS he would finally complete his ninth studio album, The Treehouse Sessions. “That’s my first priority,” he stated. “Everything else takes second priority to that. My touring will probably take me to the summer of this year. Then, I’ll have a little break before going back out with just Sting — I think we’ll be in Europe for about six weeks in late June… so my apologies for the delay on the record, but it will certainly come. Just like the sunrise, on one fine day, it will be there,” he laughed. And on that day, AXS will be there to tell you all about it. For more information, visit David’s website and follow him on Twitter. This entry was posted in David Sancious and tagged All Access, Aretha Franklin, Billy Joel, blogger, Bob Marley, Born to Run, Bruce Springsteen, Canada, composer, Darkness on the Edge of Town, David Rhodes, DAVID SANCIOUS, discovery, Dominic Miller, E Street Band, entertainment, Eric Clapton, Europe, Garry Tallent, guitarist, Herbie Hancock, Herning, Jack Dejohnette, Jeff Beck, Jo Lawry, Kelowna, keyboardist, Kingston, Kitchener, Lady Gaga, Lesley Diana, Louis Lahav, Manu Katche, Max’s Kansas City, Natalie Merchant, New Jersey, New York City, New York City Serenade, North America, Peter Gabriel, Peter Tickell, Phil Spector, Photoshoot, PR firm, press, publicist, publicity, Puerto Rican, Rufus Wainwright, Santana, Seal, St. Johns, Stevie Wonder, Summerville, The Promotion People, The Wild & the Innocent, Tony Levin, Vancouver, Vancouver PR Firm, Victoria, Vinnie Colaiuta, Will.I.Am, Woodstock, Woodstock Percussion Festival, Yamaha, yoga, Yousou Ndour, YouTube on February 1, 2015 by press. David along with other members of the E Street Band will receive the Award for Musical Excellence at this year’s Rock and Roll Hall of Fame induction ceremony, April 10, 2014 at the Barclays Center in Brooklyn, New York. 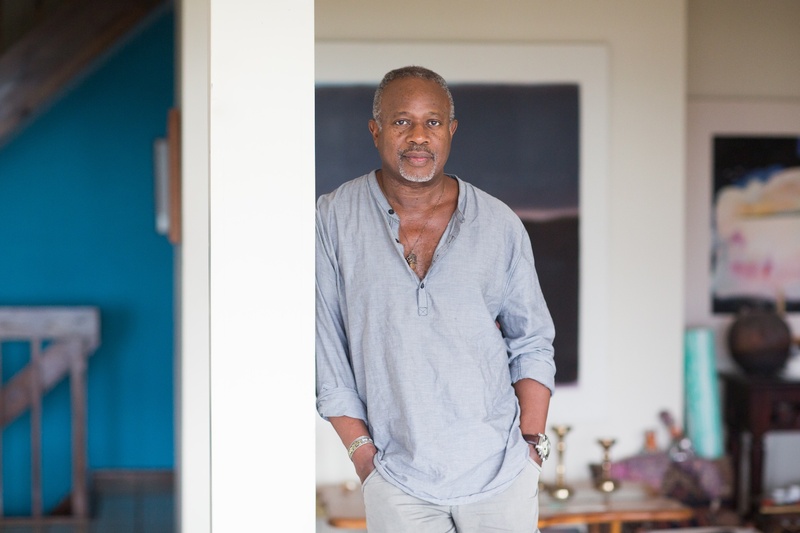 David Sancious, long-time solo keyboardist, guitarist and composer, is having an exceptionally busy year in 2014 touring with three of the most sought after musicians of our time. He just completed touring with Sting and Paul Simon “On Stage Together” then is back out touring with Peter Gabriel throughout Europe in April and May. Peter Gabriel is also being inducted into the Rock and Roll Hall of Fame this year. David joins Sting and Paul Simon, two of music’s most renowned and enduring artists who are performing “On Stage Together” throughout North America. For more information on the tour and tickets please visit sting.com. David will then join the other original members of Peter Gabriel’s band again to tour throughout Europe on Peter Gabriel’s “Back to Front” tour. The tour begins in Frankfurt on April 14th and finishes in Berlin on May 14th. For more information and tickets please visit petergabriel.com. Capturing the attention of Bruce Springsteen in the seventies at a jam session in New Jersey, David’s career as a musician kicked off at the young age of seventeen. An original member of Bruce Springsteens’ beloved E Street Band David was invited to join a new band Bruce was forming. The group recorded three albums together and toured the country before David was offered a recording contract and left the band to form his own group Tone, where he would showcase his abilities as not only a sensational musician, but as an equally talented composer, producer and synthesist. David recorded multiple albums with Tone and the accomplishments of these albums led him to become one of the most talented and sought-after keyboardists in the industry. David re-united with Bruce Springsteen and joined other musicians including Billy Joel, Lady Gaga, Stevie Wonder, Herbie Hancock, Rufus Wainwright and Will.I.Am at Sting’s sixtieth birthday to perform some of Stings most recognizable songs at New York’s Beacon Theatre. The notable artist has since worked with many musicians including Eric Clapton, Seal, Aretha Franklin, Santana, Jeff Beck and many others. David has performed on more than fifty albums since his 1973 debut album “Greetings from Asbury Park, N.J.” with Bruce Sprinstein and the E Street Band. The versatility of his sensational career has made it difficult to categorize his music. David, however, considers his art a mixture of harmony and melody from the jazz and classical traditions combined with rhythms from the rock and R&B traditions. David is well respected by his peers, considered by many as a “musician’s musician”. It can often be difficult to center oneself when surrounded by the stress and chaos of being an artist. Yet, somehow, David always manages to find his center and inner peace. At a mere ten years of age, he began his journey into the world of spirituality. David practices meditation and yoga. David is touring with Sting and Paul Simon “On Stage Together” throughout North America until mid March then out again with Peter Gabriel’s tour “Back to Front” in April and May 2014 throughout Europe. This entry was posted in David Sancious and tagged All Access, Aretha Franklin, Billy Joel, blogger, Bob Marley, Born to Run, Bruce Springsteen, Canada, composer, Darkness on the Edge of Town, David Rhodes, DAVID SANCIOUS, discovery, Dominic Miller, E Street Band, entertainment, Eric Clapton, Europe, Garry Tallent, guitarist, Herbie Hancock, Herning, Jack Dejohnette, Jeff Beck, Jo Lawry, Kelowna, keyboardist, Kingston, Kitchener, Lady Gaga, Lesley Diana, Louis Lahav, Manu Katche, Max’s Kansas City, Natalie Merchant, New Jersey, New York City, New York City Serenade, North America, Peter Gabriel, Peter Tickell, Phil Spector, Photoshoot, PR firm, press, publicist, publicity, Puerto Rican, Rufus Wainwright, Santana, Seal, St. Johns, Stevie Wonder, Summerville, The Promotion People, The Wild & the Innocent, Tony Levin, Vancouver, Vancouver PR Firm, Victoria, Vinnie Colaiuta, Will.I.Am, Woodstock, Woodstock Percussion Festival, Yamaha, yoga, Yousou Ndour, YouTube on April 6, 2014 by press. 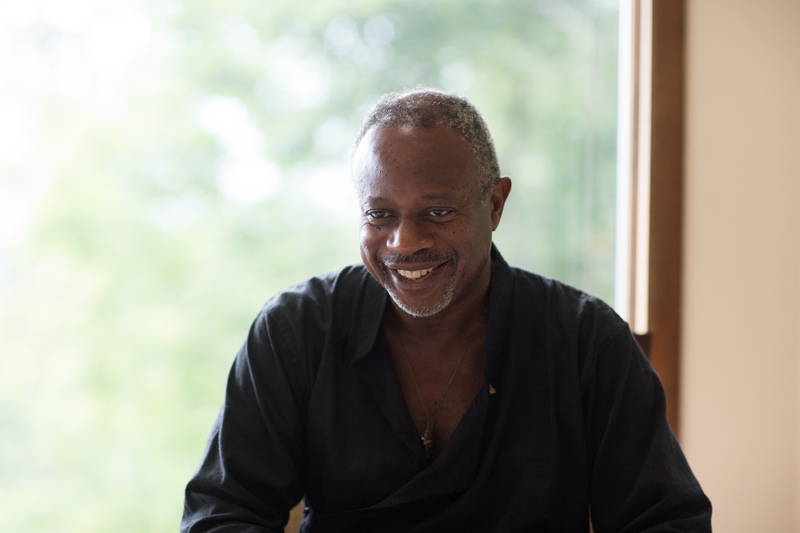 David Sancious, long-time solo keyboardist, guitarist and composer, will have an exceptionally busy year in 2014 touring with three of the most sought after musicians of our time. He will join Sting and Paul Simon “On Stage Together” in February and March then is back out touring with Peter Gabriel throughout Europe in April and May. Peter Gabriel is also being inducted into the Rock and Roll Hall of Fame on April 10th, 2014. David will be joining Sting and Paul Simon, two of music’s most renowned and enduring artists who will perform “On Stage Together” throughout North America starting in Houston on February 8th and playing to their final show in New York City’s Madison Square Garden on March 6th following an immediate sell-out in that city. 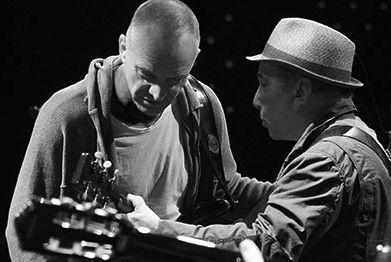 For more information on the tour and tickets please visit www.sting.com. David will then join the other original members of Peter Gabriel’s band again to tour throughout Europe on Peter Gabriel’s “Back to Front” tour. The tour begins in Frankfurt on April 14th and finishes in Berlin on May 14th. For more information and tickets please visit www.petergabriel.com. Capturing the attention of Bruce Springsteen in the seventies at a jam session in New Jersey, David’s career as a musician kicked off at the young age of seventeen. 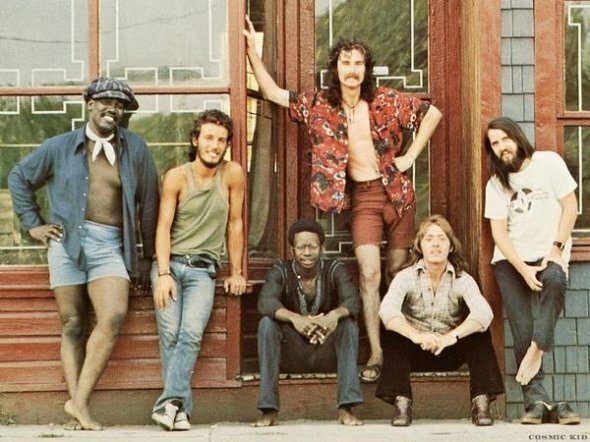 An original member of Bruce Springsteens’ beloved E Street Band David was invited to join a new band Bruce was forming. The group recorded three albums together and toured the country before David decided it was time to part ways. David left the band to form his own group “Tone”, where he would showcase his abilities as not only a sensational musician, but as an equally talented composer, producer and synthesist. David recorded multiple albums with Tone and the accomplishments of these albums led him to become one of the most talented and sought-after keyboardists in the industry. The notable artist has since worked with celebrities such as; Eric Clapton, Seal, Aretha Franklin, Santana, Jeff Beck and many others. David has performed on more than fifty albums since his 1973 debut album “Greetings from Asbury Park, N.J.” with Bruce Sprinsteen and the E Street Band. The versatility of his sensational career has made it difficult to categorize his music. David, however, considers his art a mixture of harmony and melody from the jazz and classical traditions combined with rhythms from the rock and R&B traditions. David is well respected by his peers, considered by many as a “musician’s musician”. David will be touring with Sting and Paul Simon “On Stage Together” throughout North America in February and March then out again with Peter Gabriel’s tour “Back to Front” in April and May 2014 throughout Europe. This entry was posted in David Sancious and tagged All Access, Aretha Franklin, Billy Joel, blogger, Bob Marley, Born to Run, Bruce Springsteen, Canada, composer, Darkness on the Edge of Town, David Rhodes, DAVID SANCIOUS, discovery, Dominic Miller, E Street Band, entertainment, Eric Clapton, Europe, Garry Tallent, guitarist, Herbie Hancock, Herning, Jack Dejohnette, Jeff Beck, Jo Lawry, Kelowna, keyboardist, Kingston, Kitchener, Lady Gaga, Lesley Diana, Louis Lahav, Manu Katche, Max’s Kansas City, Natalie Merchant, New Jersey, New York City, New York City Serenade, North America, Peter Gabriel, Peter Tickell, Phil Spector, Photoshoot, PR firm, press, publicist, publicity, Puerto Rican, Rufus Wainwright, Santana, Seal, St. Johns, Stevie Wonder, Summerville, The Promotion People, The Wild & the Innocent, Tony Levin, Vancouver, Vancouver PR Firm, Victoria, Vinnie Colaiuta, Will.I.Am, Woodstock, Woodstock Percussion Festival, Yamaha, yoga, Yousou Ndour, YouTube on December 22, 2013 by press. David Sancious looks forward to seeing all his fans around the world as 2014 is another busy year. This entry was posted in David Sancious and tagged All Access, Aretha Franklin, Billy Joel, blogger, Bruce Springsteen, Canada, composer, DAVID SANCIOUS, discovery, Dominic Miller, E Street Band, entertainment, Eric Clapton, Europe, guitarist, Herbie Hancock, Herning, Jack Dejohnette, Jeff Beck, Jo Lawry, Kelowna, keyboardist, Kingston, Kitchener, Lady Gaga, Lesley Diana, Natalie Merchant, New Jersey, North America, Peter Gabriel, Peter Tickell, Photoshoot, PR firm, press, publicist, publicity, Rufus Wainwright, Santana, Seal, St. Johns, Stevie Wonder, Summerville, The Promotion People, Vancouver, Victoria, Vinnie Colaiuta, Will.I.Am, Woodstock, Woodstock Percussion Festival, Yamaha, yoga, Yousou Ndour, YouTube on November 8, 2013 by press. 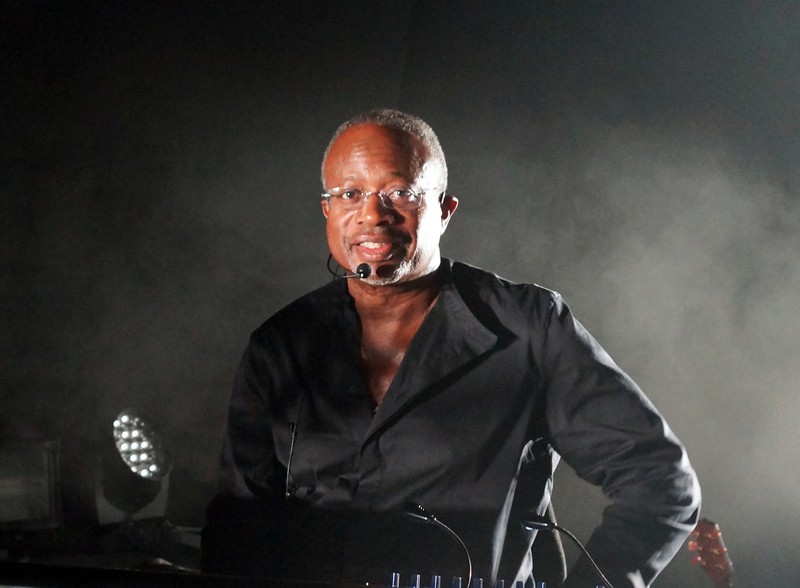 David Sancious, long-time solo keyboardist, guitarist and composer, has another exceptionally busy year coming up touring with two of the most sought after musicians of our time: Sting and Peter Gabriel. David will be touring in North America and Europe with his longtime friend, and twenty-year on-and-off performance partner, Sting playing throughout North America and Europe. The tour kicks off in Kelowna, British Columbia on May 30th then in Victoria on May 31st. Joining Sting and David on stage are Dominic Miller, Peter Tickell, Vinnie Colaiuta and Jo Lawry. Capturing the attention of Bruce Springsteen in the seventies at a jam session in New Jersey, David’s career as a musician kicked off at the young age of seventeen. An original member of Bruce Springsteens’ beloved E Street Band, David was invited to join a new band Bruce was forming. The group recorded three albums together and toured the country before David decided it was time to part ways. The notable artist has since worked and toured with musicians including Eric Clapton, Seal, Aretha Franklin, Santana, Jeff Beck, Yousou Ndour, Natalie Merchant and many others. David has performed on more than fifty albums since his 1973 debut album “Greetings from Asbury Park, N.J.” with Bruce Springsteen and the E Street Band. The versatility of his sensational career has made it difficult to categorize his music. David, however, considers his art a mixture of harmony and melody from the jazz and classical traditions combined with rhythms from the rock and R&B traditions. David is considered by many as a “musician’s musician”. In celebration of Sting’s sixtieth birthday David re-united with Bruce Springsteen and joined other musicians including Billy Joel, Lady Gaga, Stevie Wonder, Herbie Hancock, Rufus Wainwright and Will.I.Am to perform some of Stings most recognizable songs at New York’s Beacon Theatre. David has also been invited by the legendary jazz artist Jack Dejohnette to perform with him at the Woodstock Percussion Festival on September 7th in Woodstock. New York. It can often be difficult to center oneself when surrounded by the stress and chaos of being an artist. Yet, somehow, David always manages to find his center and inner peace practicing yoga and mediation to keep him grounded. This entry was posted in David Sancious and tagged Aretha Franklin, Billy Joel, Bruce Springsteen, Canada, composer, DAVID SANCIOUS, discovery, Dominic Miller, E Street Band, Eric Clapton, Europe, guitarist, Herbie Hancock, Herning, Jack Dejohnette, Jeff Beck, Jo Lawry, Kelowna, keyboardist, Kingston, Kitchener, Lady Gaga, Lesley Diana, Natalie Merchant, New Jersey, North America, Peter Gabriel, Peter Tickell, PR firm, Rufus Wainwright, Santana, Seal, St. Johns, Stevie Wonder, Summerville, The Promotion People, Vancouver, Victoria, Vinnie Colaiuta, Will.I.Am, Woodstock, Woodstock Percussion Festival, yoga, Yousou Ndour on May 3, 2013 by press.